In the color and design field, well in any job really, we often don many hats. One of the hats I will be adding next year is VP of Color Forecasting with Color Marketing Group®. 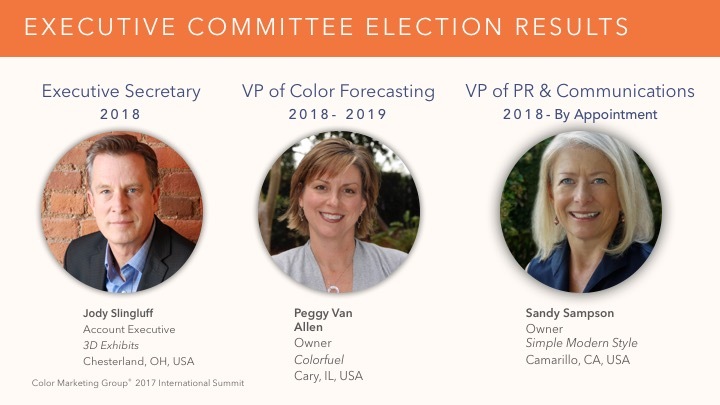 It is an exciting opportunity for me to serve, as I have been a member for 20+ years and my passion for color and CMG have grown each of those years. CMG is a volunteer driven organization and I've learned that the more I give, the more I get. 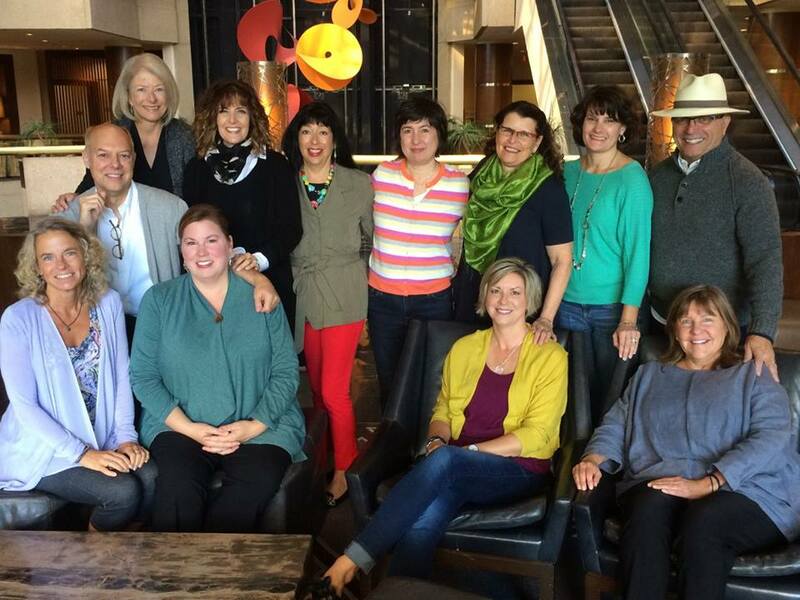 As VP I will be involved in all of the color forecasting workshops throughout the world. While I won't be attending every ChromaZone®, conference and workshop, I will be responsible for making sure each event has the tools and resources to facilitate the collaborative efforts from the many fascinating color experts that attend. I will also be responsible for gathering this powerful information and helping to consolidate each region's trend stories and palettes into the CMG 2019+ World Color Forecast™ that will be presented in Philadelphia in 2018. The membership of CMG is multi-industry and international. They are a passionate and knowledgeable group that know their color stuff. CMG enables the unique collaboration of this membership, and their collective color knowledge is priceless to those of us who work with color and need to know where color is going and why. I am so thrilled to continue my involvement on the Executive Committee of this organization and to continue to grow the color network that helps fuel my company, Colorfuel. I am also fortunate to be serving with CMG's President Judith van Vliet of Clariant, Past President Susan Hayes Hoover of Fawn Ridge Studio, VP of Marketing Heather Beland of Clarke, VP of Communication and PR Sandy Sampson of Simple Modern Style, Treasurer Paula Leonard of Hu Designs, LLC, Executive Secretary Jody Slingluff of 3D Exhibits, and Sharon Griffis our invaluable Executive Director. I'm looking forward to making new connections next year too! Easy, breezy whites. Well maybe not so easy when trying to select the right white, but that's where Colorfuel can help. There is no one-size-fits-all when it comes to whites and off-whites. Whether it is an offering of the best whites that your company needs, or a single white for your home project, we believe in the power of white. And yes, white IS a color and there are many, many shades. Whether it is the drama and creativity of a fashion show or a gander through your own closet, your clothing color choices can be a springboard to a dynamite combination in your home. In the last inspo+convo we looked to nature and flowers specifically to study color schemes. We see color everywhere and why not look to colors that have been put together by fashion designers who have a proven eye for color and trends. Extracting a Palette. Does that sound painful like extracting a tooth? Nooooo, color should never be painful!